There are many wonderful announcements coming from the Walt Disney Company this week. The newest addition to the Disney parks is the “Glow With the Show” Mickey ears that were introduced at Disney’s Hollywood Studios. 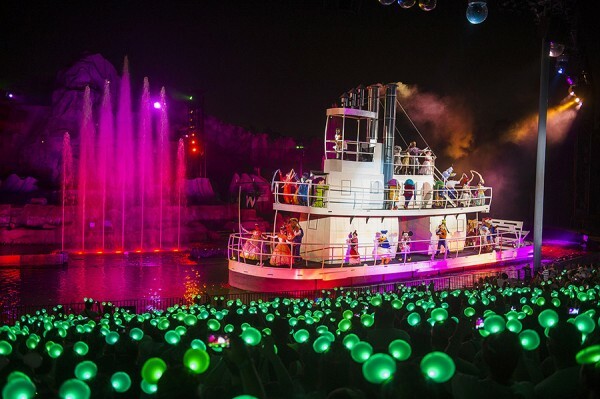 The ears interact with the Fantasmic show, change colors throughout and are in sync with the songs and fireworks. If guests opt to purchase these very special ears, they are in for a real treat as they become part of the show! The ears will be available for purchase throughout the park. The ears will make their debut at the Magic Kingdom this Saturday, October 19th during the “Celebrate the Magic” show and the “Wishes” fireworks. What do you think of the ears? Fun addition? This entry was posted in Disney Hollywood Studios, Uncategorized, Walt Disney World and tagged Celebrate the Magic, Disney, Disney Hollywood Studios, Fantasmic, Magic Kingdom, Mickey Mouse, Walt Disney Company, Walt Disney Parks and Resorts. Bookmark the permalink. This looks like a lot of fun! Think we might have to plan a trip soon. You may want to check out the stay, dine and play deals that are available on select dates. Big savings during the off peak season! Thanks, Cara. That is a good suggestion.